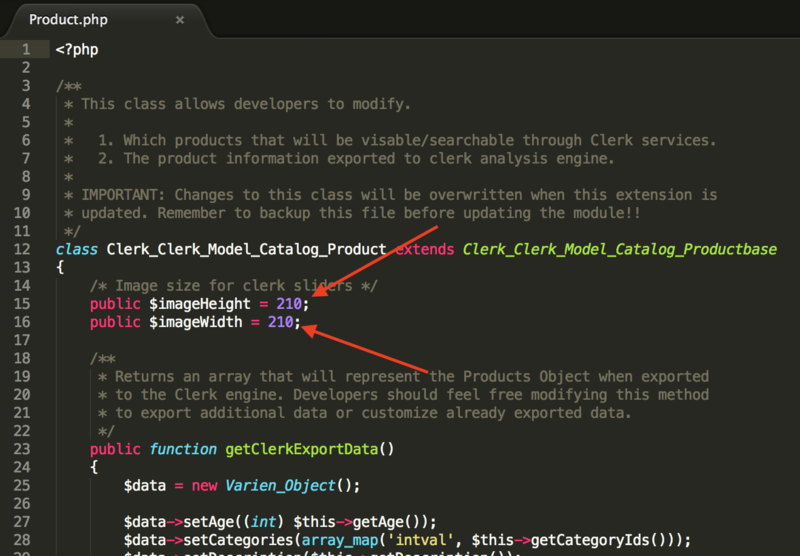 Per standard, the Clerk.io extension for Magento fetches images with a size of 210x210 px. Change these values to the size you want images to have, and save the file. Then go to my.clerk.io -> Data Sync and run a new sync, by clicking Start Sync. Your new images will now be synced.